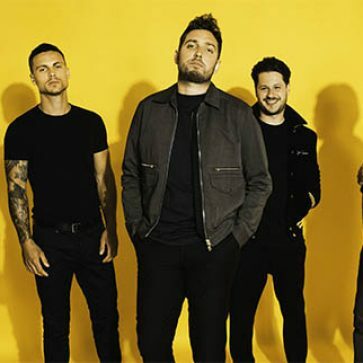 You Me At Six mark their return with their new album VI featuring tracks ‘Fast Forward & 3am’ released on October 5th. The release of VI marks a new partnership between the band and AWAL, releasing under their new Underdog Records imprint. Whilst retaining their bite, VI sees them flourish with uplifting alternative pop tracks such as ‘Back Again’,‘3AM’ &‘Pray For Me’,straying into new territories with electro dance floor leanings on ‘IOU’ , while heavier tracks like ‘Fast Forward’& ‘Predictable’ are set to strike a chord with the band’s long standing rock fanbase. With four Top 5 albums under their belt in the UK, including a Number 1 with 2014’s Cavalier Youth, and an unparalleled 15 consecutive A-List singles on BBC Radio One, You Me At Six kicked things off last night with a first play for ‘3AM’ as Annie Mac’s ‘Hottest Record’.